Hi guys, New S2ENGINE HD 1.4.6 version is close to releasing. This is one of the best and biggest update I've made for S2ENGINE HD. Many important features have been added and a lot of bugs have been fixed. 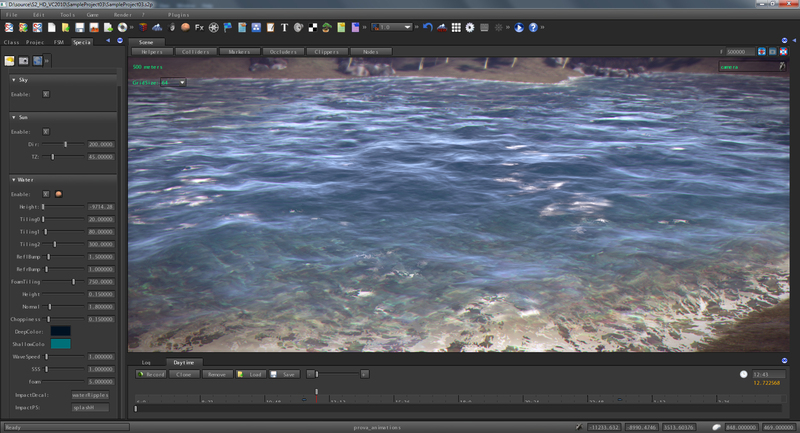 The ocean effect has been greatly improved using a multi-threaded realtime FFT solution for simulating realistic waves. Also shading has been improved introducing displacement maps, a new foam simulation system, crhomatic aberration of refraction, Subsurface scattering of waves. Now you can set a lot of params for best customizing your ocean! In this version much time has been spent for roads editing/creation. Terrain adaption has been improved, curve road segments using splines has been updated: Now you have more control on road shape. I've worked a lot for improving roads intersections and fix some issue. Ttracks now are composed by spline segments. 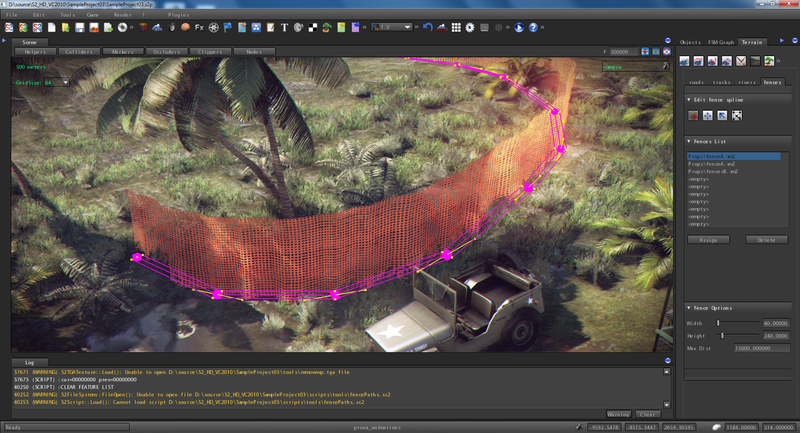 New mesh deforming tool, using splines, has been implemented for creating, for example, fences. The road system has been extended for supporting also rivers: A new shading system which perform river foam and density has been added. 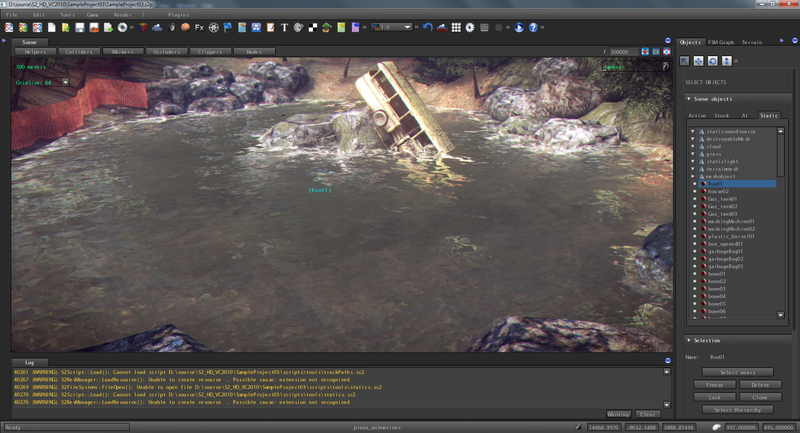 In the new S2ENGINE HD lakes can be created in a very easy way. They have a specific shader, similar to ocean shader, for simulating water with foam, caustic, refraction and reflections. Lakes also have a volume that takes into account subwater shading and physical objects reactions. GameMachine tool is one of the major features introduced in this version. It will replace the old Event-handling tree system. It is a node-based system for visual editing of game object logic and animations. The system is based on a Layered Finite State Machine, a new resource that can be loaded inside an object. Every layer is associated with an animation channel (that can be masked) of the owner object and is composed by states and transitions between states. In any moment an object is in a state that changes basing on events generating transitions to other states. States are associated with an animation and execute Actions. Animations can be blended when transition occurs. Actions perform specific operation basing on their type and can use/store variables defined by user. A wide variety of actions will be available for performing all necessary object logic operations. When run the game simulation the editor shows, in realtime, the current state of selected object, transitions between states when an event occurs and variable values. In this way debugging logic is greatly simplified.States and transitions are showed as a graph composed by connected nodes. New type of cube map reflection shader has been implemented in addition to the already existing Sphere-map environment reflection : Cube-projected. This new type of environment projection better fits box-shaped locations (like indoor rooms) allowing more coherent reflections of the environment. A new, more pratical, input mapping system has been implemented that lets to easly assign keys, buttons, triggers to user defined labels that can be managed inside GameMachines or scripts. Xbox Pad support also has been introduced. Cutscene tool has been extended to support all teewnable object and scene parameters. Events track that lets you to send events to a GameMachine. Time track that lets you to change the cutscene time speed. Now selected track curves are showed as splines into a Curve View that lets you to easly modify keyframe position/value and track curve shape. Now editor can load external plugin modules as extensions to its functionality. Plugin can be implemented using Visual studio S2ENGINE HD C++ SDK. With this plugin you can build any type of building from houses to skyscrapers. The tool lets you to set how many floors building must have, roofs type, windows type, balcony type, textures and many other customizable parameters. Like all other editor plugins it will be furnished separately. Scene Hierarchy management system has been greatly improved. 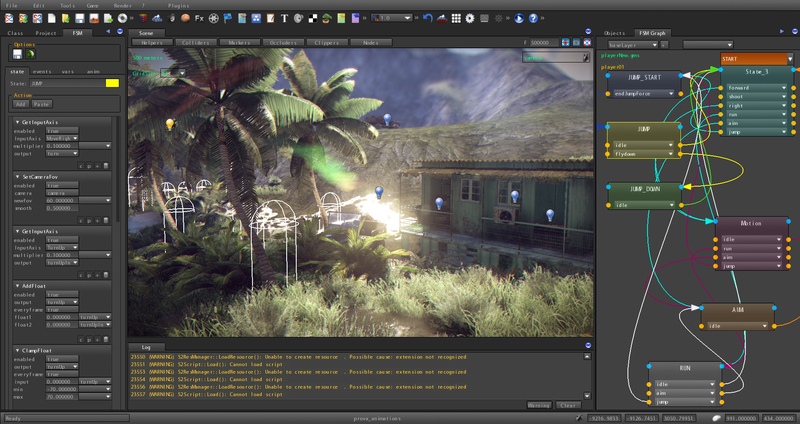 For example you can now easily drag&drop; items directly inside scene, on an object node, to attach them to it. Added material shader quality level parameter. Quality of material can be Automatic (based on object LOD) or choosen as high, middle, low. Added alpha masking for every layer of materials, based on alpha channel of layer diffuse texture. Improved ambient light clippers. Now clippers are indipendent from ambientlight and can be shared between more than one ambientlight. Added support for 16-bit heightmaps importing (TIFF format). Added editor object material list dialog as alternative to drag&drop; for changing object materials. Improved Materials drag and drop. Now you can view material selected during dragging. Now editor shows selected object logic relationships with other objects as lines connecting them. SOLVED ISSUE: Terrain smooth fails at the borders, also when importing heightmap. 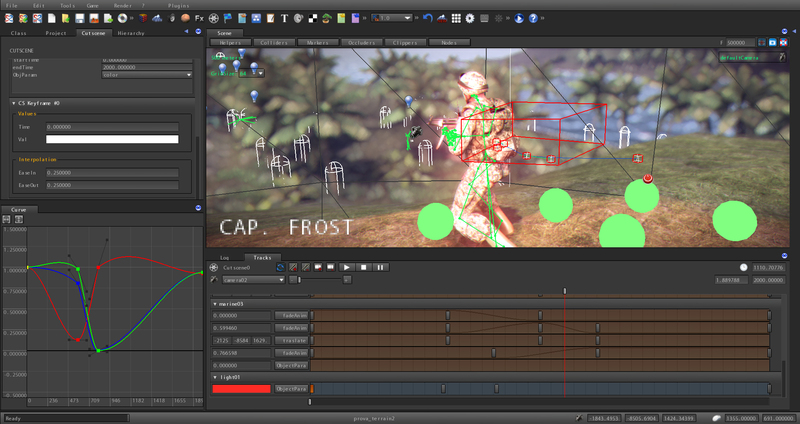 Added possibility to drag keyframes in daytime timeline. Further General Optimization of rendering subsystem. Added support for INTEL HD 4000 graphics cards. Improved Particle System shading: now particle systems receive shadows from the sun. Added "Show In Explorer" command inside project browser (for showing files inside Windows Explorer folders). SOLVED ISSUE: In the model/animation tool If you add a node not beloging to current selected mask to the list of lock nodes editor crashes. SOLVED ISSUE: Slope parameter in paint layer doesn't work. With S2ENGINE HD 1.4.6 version a new license system has been adopted. No difference between BASIC and PRO version, the basic engine/tools and the C++ SDK will be sold separately. No Royalties or additional costs after you have released your game/product. All future minor updates (1.4.7, 1.4.8, etc..) will be free, while Major updates (1.5.0, 1.6.0, etc..) will be sold with 50% discount for 1.4.6 owners. Editor and SDK updates will be sold separately. Plugins will be also offered separately with price starting from 19.99€ (depending on the plugin). ... thats my opinion, Good Luck ! That's not entirely true, UE4 still takes a 5% royalty cut, which is still somewhat substantial. Offering an engine without any royalty stings attached and at this low price is quite competitive but without any kind of comparable eco-system (marketplaces/launcher content/forum content) and the huge community the other engines have, might be difficult to leave much of a footprint in the already crowded engine scene. Though that said, the competitive pricing model and impressive engine features are certainly a good start. Agree with you. the "No royalties" frees users from the duty to remain linked economically to engine supplier. You pay 10€ at start and then you are FREE to do what you want with this engine. And yes, Eco-system need to be produced, I agree. Not crowded enough, I must say and the price is really good; I wonder if it still rendering in openGL, that would be amazing? What are the platform support possibilities? Sooo... S2 sounds a hell of a lot like Source 2... god help you if it is... This is Valve's Source Engine 2... how can you profit from it? I would assume that you are just joking. You seriously think he has Source 2 source code and is selling it as his own? This engine has been in development (with the current name) for quite some time. * Cross Platform? Are there any future plans for this? * Scripting? Is all scripting through the "Game Machine Tool" or is there a language like LUA included? * How is AI incorporated? * Will the road editor support train tracks, dirt paths, etc.? Perhaps even streams in the future? * This version has been in the works for a very long time (I admire your perseverance) but will future updates take this long to release? It would be more encouraging to see bug fixes and features come out more frequently. Also, your forum is very depressing (sorry, but true.) You may want to purge that and start fresh with updated tutorials, as well and be active on there. With the great visuals, features and price this engine is very appealing to me and might have a very good shot in the market. I look forward to your answers. 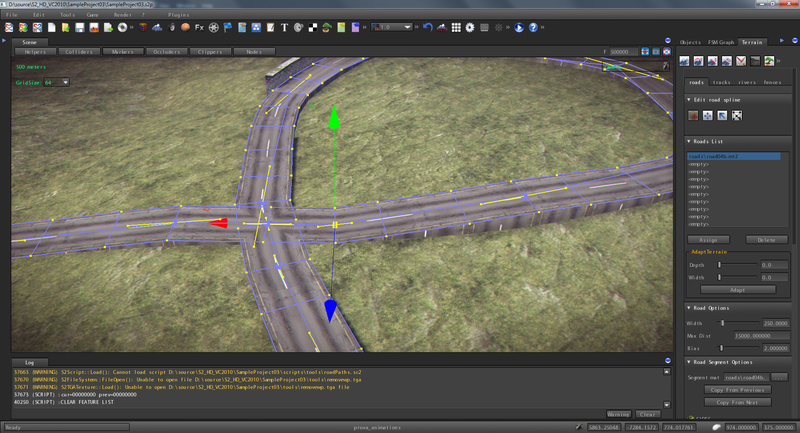 Okay, my question regarding the road editor was due to me not reading your post thoroughly. :) Sounds like rivers are supported. I could not get the current version (1.4.5) working on my new gaming laptop either. Well, the screenshots are nice, features sound good and the author is obviously very talented. However, I think the key to success for this engine is to test it on as many computers as possible and actively engage with customers and potential customers. Maybe the author will eventually get enough free time to answer questions but, regardless, I am playing with the Skyline Engine and it is a lot of fun.